Beginning from 2006 the international Igromir exhibition has been the main event of the Russian gaming world and yearly celebration for all fans of video games. The tenth anniversary Igromir 2015 exhibition and pop culture Comic Con Russia festival will run from October 1-4 at the Krokus Ekspo exhibition complex. The Azubu channel will provide the broadcasting. Presenters onstage — Evhenia Perunova and Ilia Esaulov. Also in these days Game Show will provide outstanding shows on exhibition stands of participating companies, will make contests, competitions for prizes and presents. The Tele2 mobile phone service provider will present at the Igromir 2015 exhibition their own stand, on which guests of the event will be able to vote against mobile overpaid amounts with a special interactive board. During all four days of the exhibition on the operator ground there will be the broadcasting of the best matches at GameShow, and also a Wi-Fi zone, where guests will be able to connect to the free Internet. From October 2-4 Tele2 will organize an autograph signing session with famous esportsmen, and on the main stage of the event the operator will be holding a contest with the main prize as an opportunity to have a personal chat with one of the esport stars. The ASUS company will demonstrate their best and newest devices for gamers and enthusiasts and will hold an «ASUS is the computer of 2015 year» competition, which will show all potentialities of native manufacturers in hi-end class computer building; an individual strategy for PC building and its outward. The leading Russian PC manufacturers of the hi-end level such as HyperPC, DigitalRazor, EvoPC and Mejin have agreed to take part in the competition. Built computers may be seen at the stand of the ASUS company at the Igromir 2015 exhibition, and also you will be able to vote for the Best ASUS Computer of 2015 title on the computeroftheyear.rf website. The members, who will take part in the voting will be able to fight for the value prizes such as gaming laptop ASUS G751, ASUS ROG Swift PG278Q display and miniPC ASUS ROG GR6. You can find more information about the voting on the computeroftheyear.rf website and directly at the Igromir 2015 exhibition at ASUS's stand. Largest native gaming PC manufacturers such as HyperPC, DigitalRazor, EvoPC and Mejin have prepared a real present for visitors of the Igromir 2015 exhibition. They have built all-powerful gaming PC based on components of ASUS and Republic of Gamers, having given an opportunity for everyone to play any modern game with the highest settings. During the exhibition it will also be possible to play in Hearthstone with famous streamer Happa and get Zenpower as a present. Also the attendants will be able to take part in a photo contest and earn the Zenfone 2 ZE551ML 4 gb smartphone. On the HyperX company's stand visitors of the exhibition will have a chance to fight with distinguished PRO gamers, Hooch_R & Fox, and also familiarize themselves with popular Dota 2 streamers, Vityshka & Versuta and World of Tanks bloger Anna Kostenko. In addition to a big number of draw games and quizzes, the HyperX company will start up a total sell-out of their headsets. Right at the stand it will be possible to get a coupon with a discount for a SSD or headsets. You will be able to buy the headsetsyou get interested in right at the stand. You also may earn lottery ticket there and try to win one of the value prizes in a big lottery by HyperX from October 2-3. Aerocool will present at their stand a new power adapter model of the VP series with more effective heat dissipation and high temperature endurance the the PA's components, and will also hold a photo contest in an original photo zone at their stand. On the main stage of the championship there also will be many prizes by the Logitech and Crucial companies. Action period: from 10 a.m. to 6 p.m. Entrance to the exhibition is ticket-based. 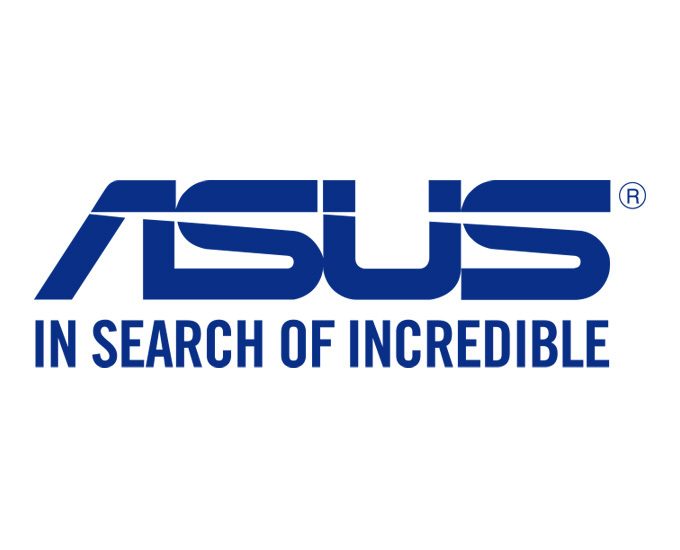 The ASUS company is a creator of best selling motherboards, which have won the largest number of awards, and is also one of three leading laptops manufacturers in the world. Being a leader of the new digital era, ASUS offers a wide range of products, including motherboards, video cards, optical drives, monitors, PC, laptops, netbooks, servers, multimedia devices, wireless decisions, network hardware, tablet computers and smartphones. All ASUS' products stand out for its high quality and innovation, they are perfectly suitable for modern house and office. In 2014 ASUS earned 4 326 awards. The company's amount of business with more than 13,6 thousand employees and highly proficient developers all over the world is 14,5 billion US dollars.